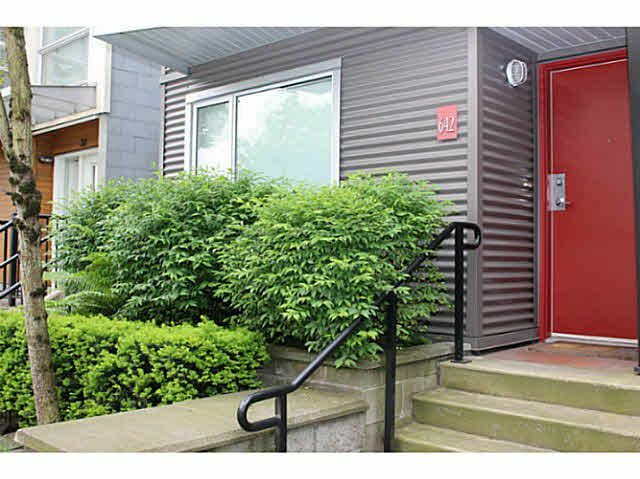 Spacious CORNER UNIT with 2 bedrooms & 1 den townhome on two levels in popular BOHEMIA development! Excellent location across from South False Creek seawall, Charleston Park , & 3 minutes walk to Skytrain Station. Short stroll to Granville Island, steps to banks, restaurants, Whole Foods, Save On Foods, London Drugs, Home Depot, Canadian Tire & more. Features gourmet kitchen with professional grade stainless steel VIKING fridge, gas stove, dishwasher, & microwave, maple wood cabinets, granite counter top. Measurements are approximate, buyer should verify. 1 secured parking.